When you are renting property, it is important to consider different parts of the home which might need updating or upgrading. 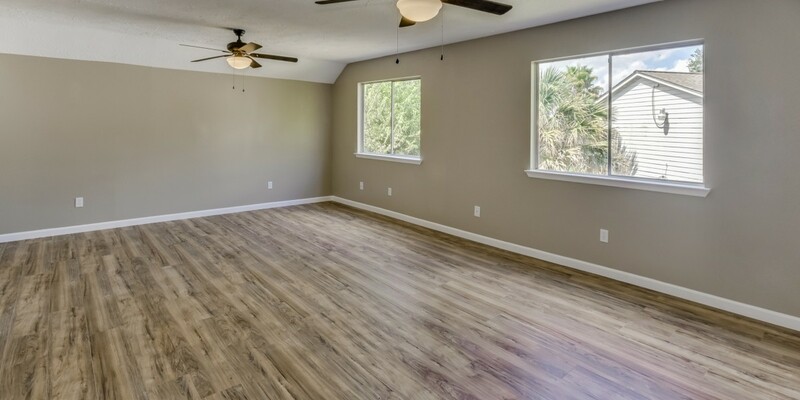 If you have a real estate investment in New Jersey, then continue reading to learn how to choose the right flooring for your investment property. APEX Capital Group is New Jersey’s number one provider of turn-key income properties, which means that we have the experience to help you make the best decisions for your investment. Call today to request your investor’s kit. As an investor, you don’t want to spend a lot of time or money in maintenance fees. At the same time, you want to make sure that you are providing what your tenants need so that they are happy and you can get your money’s worth from your real estate investment. For these reasons, it would be a good idea to look at low-maintenance flooring. Resilient vinyl flooring is available in several varieties, including tile, sheet, and plank. Another good option is laminate flooring. If you choose laminate flooring, however, make sure your tenants know to never use a wet mop as this could ruin the material. Protect your real estate investment by making sure that cleaning is done properly. A variation on laminate floors, engineered wood consists of a hardwood veneer that is attached to a number of plywood layers. It is a little bit more expensive than laminate since the top layer is real wood, but the benefit is that you get the look, sound, and feel of a real wood floor. One of the most important things to consider when determining which type of flooring to use is the primary function that the room will perform. While cost is definitely a factor, it’s important to consider the level of wear and tear that a specific room will experience, as well as the amount of moisture. The flooring that you put into a bathroom, for example, will require a material that can withstand high humidity and moisture. Remember to think about how often the floor will need to be cleaned and the ease with which it can be cleaned. While carpet can make a room cozier, it is also more demanding and labor intensive when it needs to be cleaned. One last item to consider is the amount of time and money that you are willing to invest in maintaining the flooring that you put in. While vinyl flooring is incredibly easy to clean, it will need to be replaced once it has been damaged. Tile is another flooring option that is easy to clean, but the grout is much more difficult and will need to be replaced about every five to 10 years. Consider the pros and cons of different flooring options when it comes to maintenance so that you can make the best decision for your real estate investment. APEX Capital Group is proud to be the number one provider of turn-key investment properties in New Jersey. If you are ready to diversify your financial portfolio and begin wealth building, then call today and request an investor kit. We look forward to working with you.